Weems's lyrical poetry is a reminder of the importance of true discipleship. She challenges Christians to look past the ongoing distractions of the "busy work" of church meetings and socials, new programs and technology, and inevitable conflict, while reminding readers in her singularly expressive voice that the "institution" of the church is, at heart, quite simply all about Jesus. 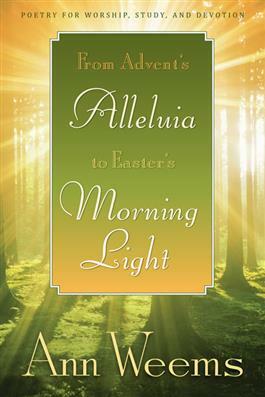 This collection of poems, written to be used in worship, in personal devotions, and in discussion groups, is organized to follow the liturgical year from Advent through Easter.